See the latest ETS KL Sentral to Alor Setar train timetable and list of fares for Gold and Platinum services to the capital of Kedah state, on the west coast of Peninsular Malaysia and the gateway to Langkawi Island via the nearby port of Kuala Kedah. Many people use these trains to travel from Kuala Lumpur to Langkawi by train, as Alor Setar is close by the ferry port / jetty of Kuala Kedah, where regular high-speed boats cross over to the island during the daylight hours. The duration of the journey from KL to Alor Setar is a little under 5 hours for the fastest services. Trains from Kuala Lumpur to Alor Setar have varying amounts of stops along the South - North railway line, with all but one train taking a direct route from the capital. The one service that does not, takes the branch line to Butterworth, thus increasing the journey time. As this is a very popular route, you should always make an advance booking for the above trains as soon as possible to avoid disappointment. 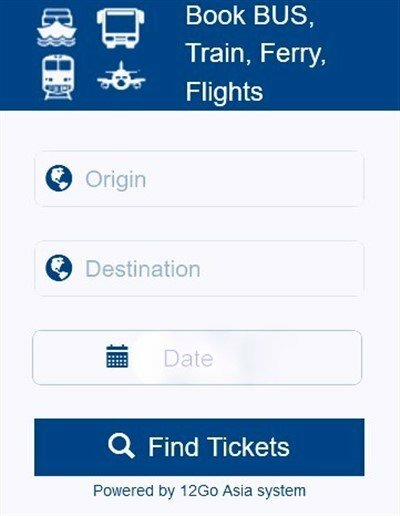 You can buy your advance train tickets from any KTMB railway station or you can book your seats online for the same price as the station ticket counters. The length of time you can make advance bookings is always changing (sometimes its a couple of months - sometimes just a few weeks), so to save yourselves a wasted journey to the station, it is much more convenient to book your seats online. Many people travel to Alor Setar by train to reach the ferry terminal in the nearby port of Kaula Kedah. If you want to go to Langkawi Island from Alor Setar Railway Station, you can get a taxi or take a cheap local bus from the city centre, which drops you off just in front of the ferry terminal building in Kuala Kedah.